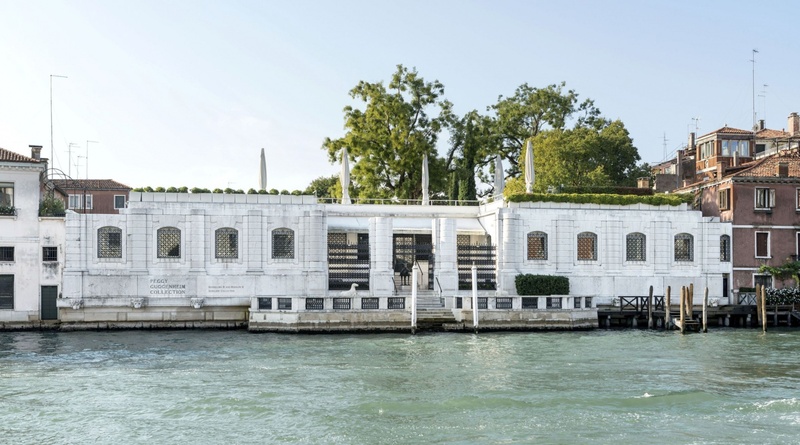 The Peggy Guggenheim Collection is among the most important museums in Italy for European and American art of the first half of the 20th century. It is located in Peggy Guggenheim's former home, Palazzo Venier dei Leoni, on the Grand Canal in Venice. The core mission of the museum is to present the personal collection of Peggy Guggenheim herself. The collection holds major works of Cubism, Futurism, Metaphysical painting, European abstraction, avant-garde sculpture, Surrealism, and American Abstract Expressionism, by some of the greatest artists of the 20th century but also masterpieces from the Hannelore B. and Rudolph B. Schulhof Collection, the Nasher Sculpture Garden, as well as temporary exhibitions. The Peggy Guggenheim Collection has devised the Kids Day Sunday workshop programme to bring children between ages 4 and 10 closer to modern and contemporary art, helping them understand the subjects and the creative techniques of the exhibited works through practical experimentation. Photography is permitted without flash. You may not use tripods or monopods. Animals of all sizes are not allowed in the galleries and in the gardens. For information and assistance please contact "Sporting Dog Club". The Peggy Guggenheim Collection joins the Venice Art for All project and becomes accessible to all, including people with limited mobility.